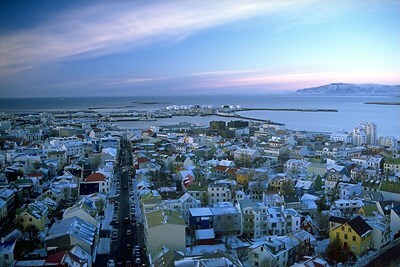 Reykjavík is the capital and largest city of Iceland. Its latitude at 64°08' N makes it the world's northernmost capital of a sovereign state. It is located in southwestern Iceland, on the southern shore of Faxaflói Bay. With a population of around 120,000 (and over 200,000 in the Greater Reykjavík Area) it is the heart of Iceland's economic and governmental activity. This description uses material from the Wikipedia article on Reykjavík and is licensed under the Creative Commons Attribution-ShareAlike License (view authors). 18 people want to do this.